Hoping you all had a wonderful Thanksgiving. 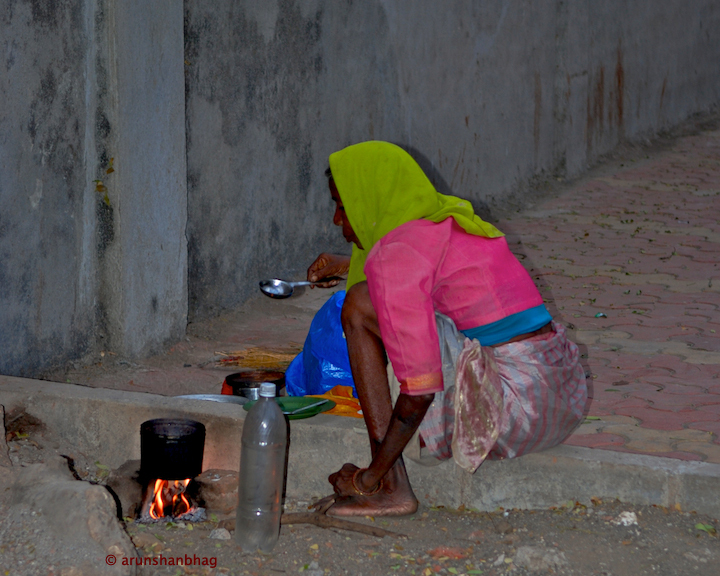 This post by Preena reminded me of this older woman cooking on the sidewalk in South Mumbai. It was a simple, charred metal can she used to boil a little bit of rice. That was all she had for dinner. 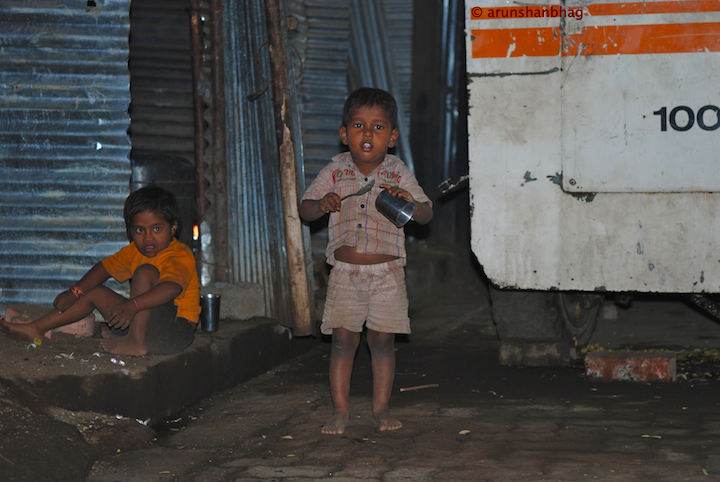 Further down the street, I saw these kids playing. After a few pics I walked over to the tin shack where the mother was cooking. She appears to be smilingly content; I am certain its an optical illusion. A good time to remind ourselves how fortunate we are. 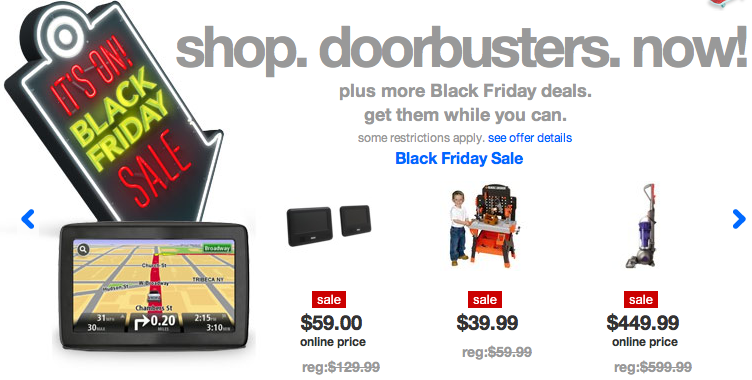 You really do not need that discounted gadget. PS, have we met before? The post comes at a perfect time for me. I have been reading ‘Little Daughter’ by Zoya Phan, a political actitivist from Burma. The book is her autobiography where she describes her life and conditions in Burma. I am half way through the book but it does make me stop and think of how lucky we are…. These were exactly my thoughts. You shared them well with your pictures and words. This world is so unfair. 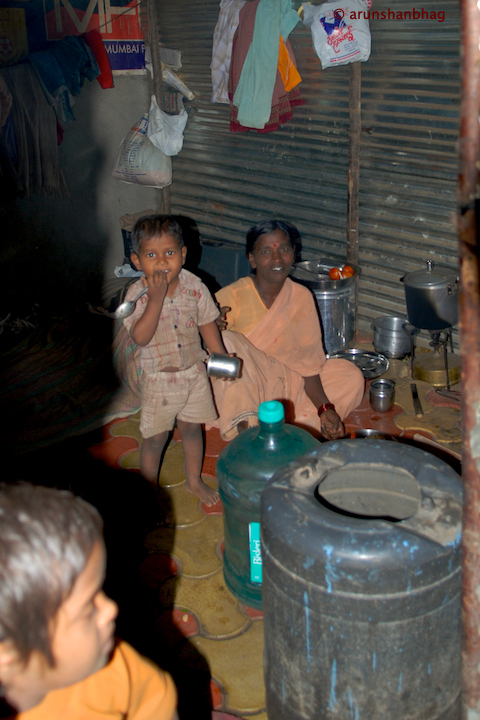 On the one side, we have lavish weddings in India where food is wasted and on the other we have people who have nothing and yet have a smile on their faces. This gives me a jolt to not grumble about anything. Thanks for sharing and happy holidays to your family! Sad part I left out is that the wall you see in both these pics is the Cooperage maidan near Sachivalaya. There every night fancy weddings take place with lights galore and literally tons of foods discarded in the trash. Thank you Ujwal for the prompt. In our family, divinity is not something we “visit in a temple,” but an integral part of our very being. “I am (a part of the infinite divine) therefore I think.” And this recognition and belief is itself a blessing that I am most thankful for. I tried to summarize it in “fulfilling dharma”, but I agree with you, this explanation is better. How are you doing? and hope all is well with you family. Hello, I am Kirti from Pune, India,I have been reading your blog quite regularly, one of your fans i must say!your articles are thought provoking , this one made me think of million complaints i make about everything! Thanks a lot and a love to Meera! Its readers such as you that keep be going back and writing more articles.